ALBUQUERQUE, N.M. (AP) — A New Mexico man stabbed, severely beat and kidnapped his mother and another person, then threw his mother off a bridge into the Rio Grande in broad daylight after he said he heard voices coming through the television telling him to go to his mother's house and "get the clones out," according to a criminal complaint. 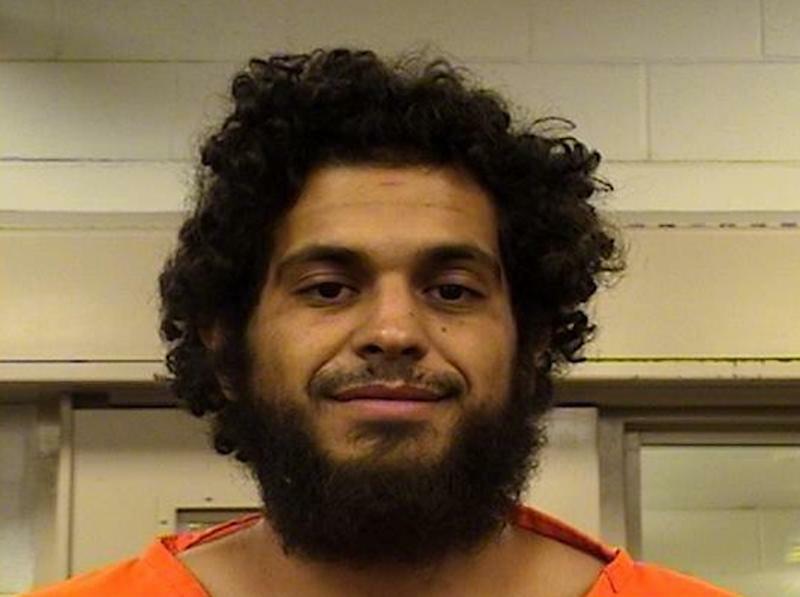 Martin Montano, 26, told detectives that he tossed his 61-year-old mother, Hope Montano, from a bridge in Albuquerque on Tuesday after stabbing and choking her at her Albuquerque home, complaint said. Witnessed told police that after they saw Martin Montano of Albuquerque take his mother out of a trunk and throw her over the bridge, he tried to toss over another beaten and stabbed victim, later identified as Francisco Dominguez, the complaint said. But police said witnesses stopped Montano, who then fled in his vehicle. Dominguez, believed to be a housemate of the mother, was left on the side of the road near the bridge. Both badly beaten victims were taken to an Albuquerque hospital where they are listed in stable condition, police said. Martin Montano was later stopped and arrested by police. A criminal complaint said Martin Montano told police the couple were "clones" of his family and his real family was living underground. He told police that he entered the house by jumping the fence and getting into a fight with Dominguez, then stabbed him multiple times with a large brown kitchen knife. Montano told police, the complaint said, that Dominguez yelled for help from Hope Montano but when she came out Montano "did not think she was his mom." The report said Montano then stabbed his mother "in the neck and she just kept going." He also tried to wrapped a pillow case around his mother's neck and "tried to choke her out ... (but she) just kept going," according to the complaint. He admitted that he also beat his victims with a large rock and a pole, police said. Montano told investigators he place both victims in the trunk of a car and drove to an overpass to throw "one of the clones in the river." He faces multiple charges, including attempted murder and aggravated burglary. It's unclear if Montano had an attorney. Records show that Montano was arrested in August 2012 for false imprisonment and battery against his mother. In that case, Montano was seen by officers restraining his mother from opening the door to allow police in and pushing her to the ground shouting, "you have demons in you." Police said Montano's mother declined to give a written statement at the time but requested information on getting a protective order against her son. A Louis Vuitton employee was told to tolerate sexual harassment because it's part of "French culture," and what?